5. People asked on Instagram and I ignored the requests because I was feeling too lazy to type it all out there. I typically end up making these, using some for the week, and freezing about 15-20 of them for future use. That is reflected below in the quantities. If you do not have any desire to freeze them, use only one pound of ground meat, almost a full container of crumbled goat cheese, and divide everything else by three. When not divisible by three, err on the side of over-seasoning because ground turkey and ground chicken could use it. Mix ingredients by hand. Feel free to sub out seasonings. Form medium sized patties and use your thumb to depress the middle a bit. Cook patties in a heated cast iron skillet four minutes per side. Even when I'm freezing them, I cook them first. That way I can just thaw and eat. Set aside to cool. Wrap the ones that will be frozen in parchment paper and freeze in gallon bags. 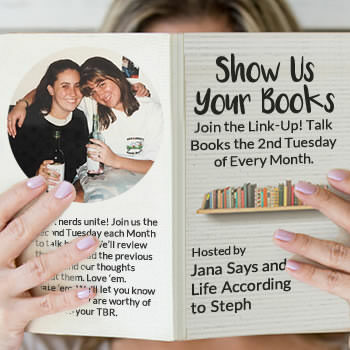 Linking up with Jenn @ Going the Distance for What's Hap-Pinning Wednesdays. Yum, these look great and the fact they are freezable is EVEN better! Link this up with Jess and I today! now that i'm heading back to work (wahhhhhh!) massive food prep needs to start happening. def bookmarking this so thanks for sharing! Yum. Do you cook them before freezing or freeze raw? These sound delicious and I love that I can make a bunch and freeze them! I agree, ground turkey and chicken need extra flavoring usually for me. Yummm. Anything with goat cheese, I'm in. sold. you had me at easy! and freezing. i don't think i have ever had / bought goat cheese though... is that just with the rest of the cheeses? lol. This look delish! Never thought of combining the two! Thanks for recipe. Love chicken burgers. 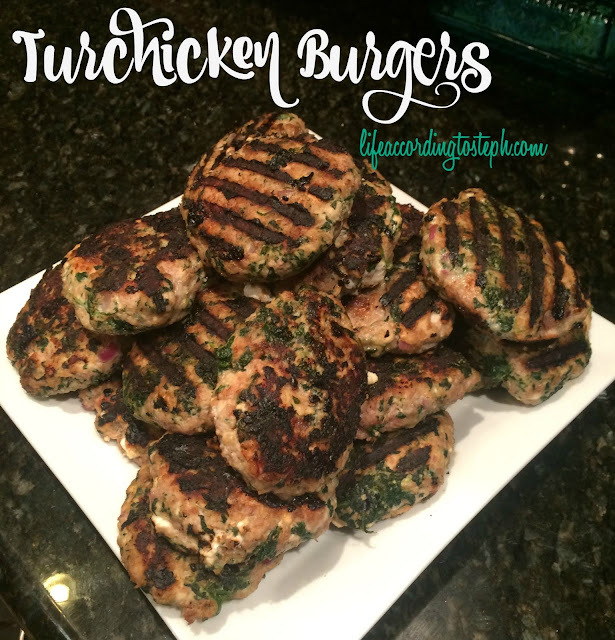 Love turkey burgers. Love this post for the sheer brilliance. Thanks for sharing! i've mae turkey burgers and I've made chicken burgers but i've never made this!! sounds so good. FOREVER looking for more recipes that are healthy and that I can make by hand and freeze. Thank you! Pinning for future ideas. Making ahead and freezing is such a time saver. Fully support! Making these. Can you substitute the goat cheese for feta? I have an aversion to goat milk products. Which I guess is really only cheese but I'm sure you understand what I mean. These look so good. I haven't tried combining turkey and chicken. Freezing for future use is a good idea. I'm a big fan of goat cheese and spinach as well. YUM! I'd make these into meatballs! Those look amazing!!! I love that you cooked them in a skillet. I need to get a cast iron one!